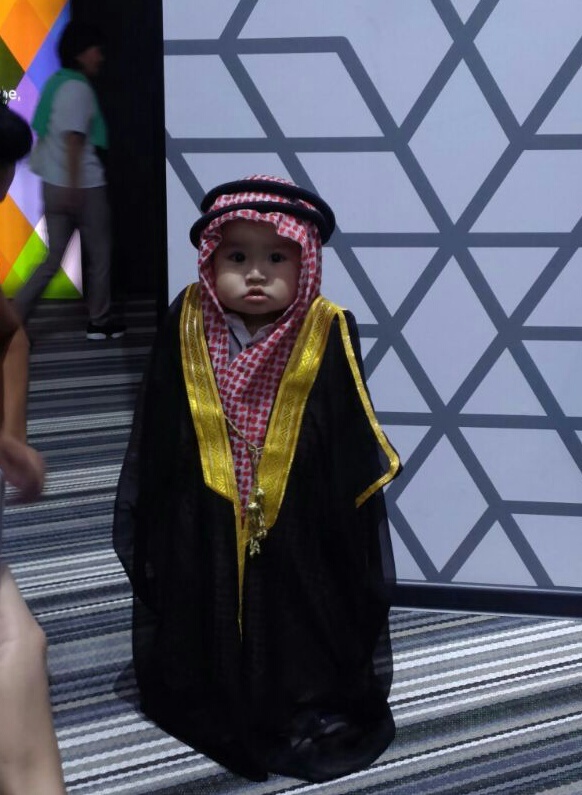 This week the Sheikh Abdullah Al Salem Cultural Centre in Kuwait had its grand opening ceremony. The spectacular ceremony was attended by Gulf officials, including the Emir of Kuwait, HH Sheikh Sabah Al-Ahmad Al-Jaber Al-Sabah. The centre is the largest museum complex in the world and includes four world class museums, a fine arts centre and a theatre. We worked with Management and Facilitator teams at SAASCC in October, delivering three modules of training. The modules were: management and staff functions; dialogue and facilitation skills; and presentation skills. The teams were wonderful to work with, and we’re very much looking forward to visiting again and seeing them welcome and engage the public with Kuwait’s new cultural offer. Last year we developed Energy Futures, a science show themed on energy innovation and future energy. The show was for the Lema? outreach programme run by the Abu Dhabi Department of Education and Knowledge (ADEK). The National is the Middle East’s leading English language news provider and last week they ran a feature on the Lema? programme and our Energy Futures show. We debuted the show at the 2017 Abu Dhabi Science Festival, performing Energy Futures to hundreds of families and students based in the Emirate. Since then the show has been taken on tour to schools where in just six weeks it has been seen by over 8,500 students. Read the full article and more about our work on the project. 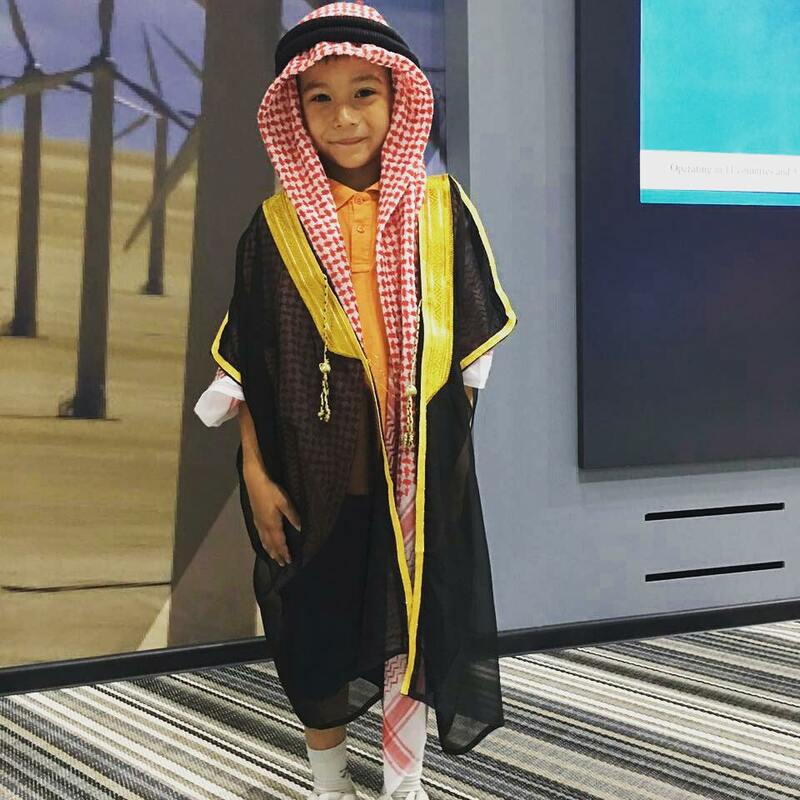 And this week, Gaetan is back at the Energy Exhibit in Dhahran to see familiar faces, and continue to build the capacity of the team there with bespoke training sessions. Find out more about our training at the Louvre and the Mediators’ experiences and VIP tours on the TalentS|KCA blog. 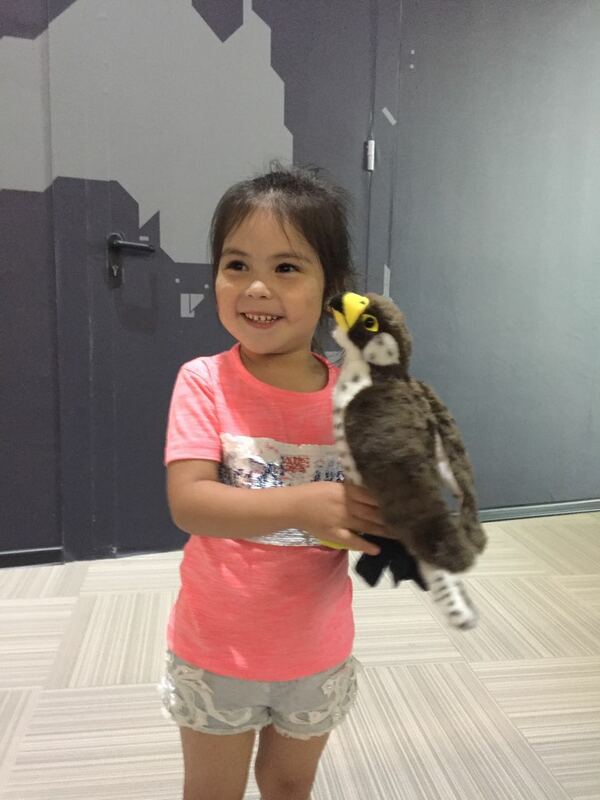 After three months of operations, Astana Expo drew to an end this week. 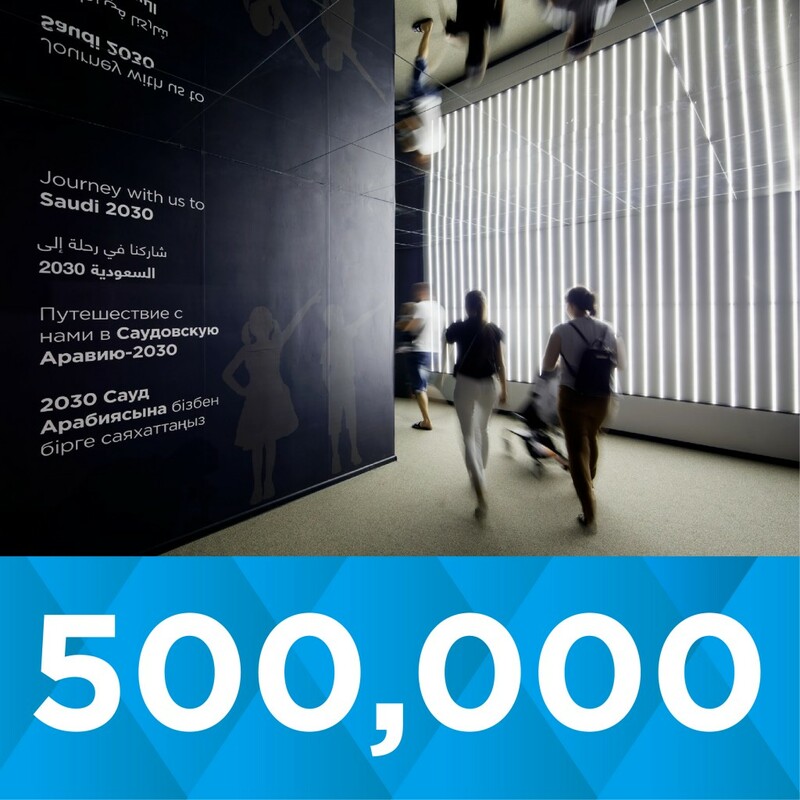 The event in Kazakhstan’s capital welcomed over 400 million visitors and took them on a journey into the theme of ‘Future Energy’. The Saudi Pavilion showcased the Kingdom’s role and commitment to shaping future energies and sustainable solutions. 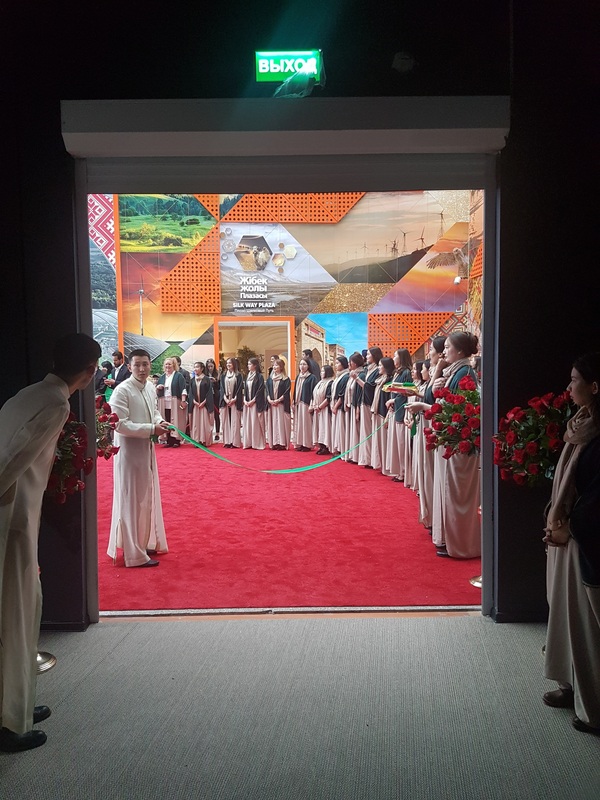 We recruited and trained a wonderful team of Guides who exemplified the spirit and hospitality of the country. 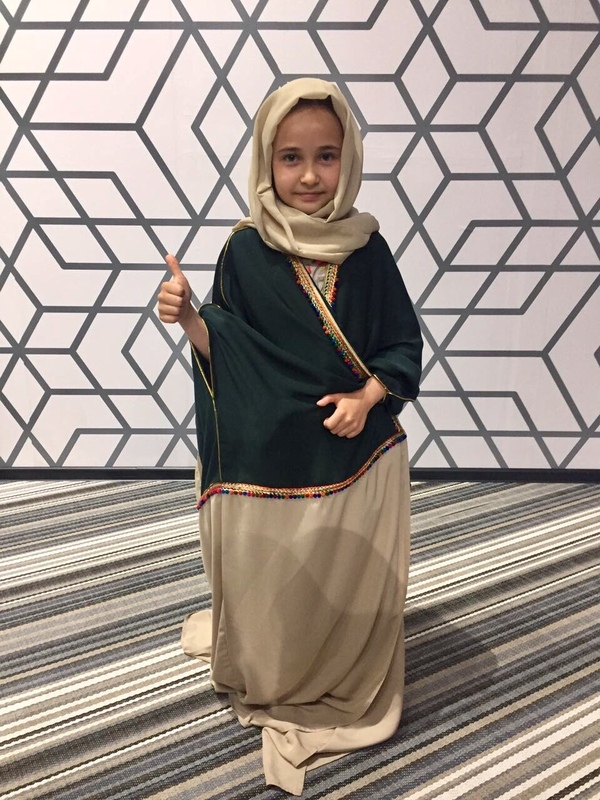 Throughout the course of Expo, the Guides engaged visitors with the stories and content in the Pavilion and helped thousands try on traditional Saudi dress. We’re thrilled to have consistently been in the top most visited pavilions- welcoming over 740,000 visitors over the course of Expo. It’s been a great three months in the Kazakh capital, but until next time- Астанаға қоштасу. 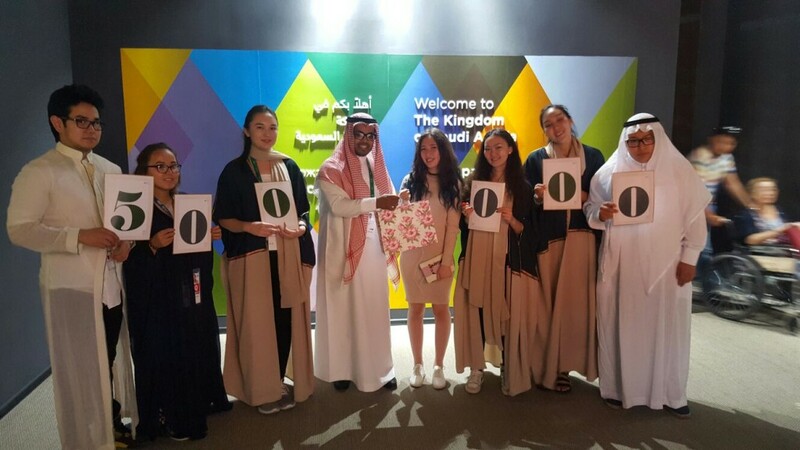 In the past week the Saudi Pavilion has welcomed its 500,000th visitor, and the fantastic guides were on hand to celebrate! الاستعداد للإحتفاء باليوم الوطني للمملكة العربية السعوديّة! 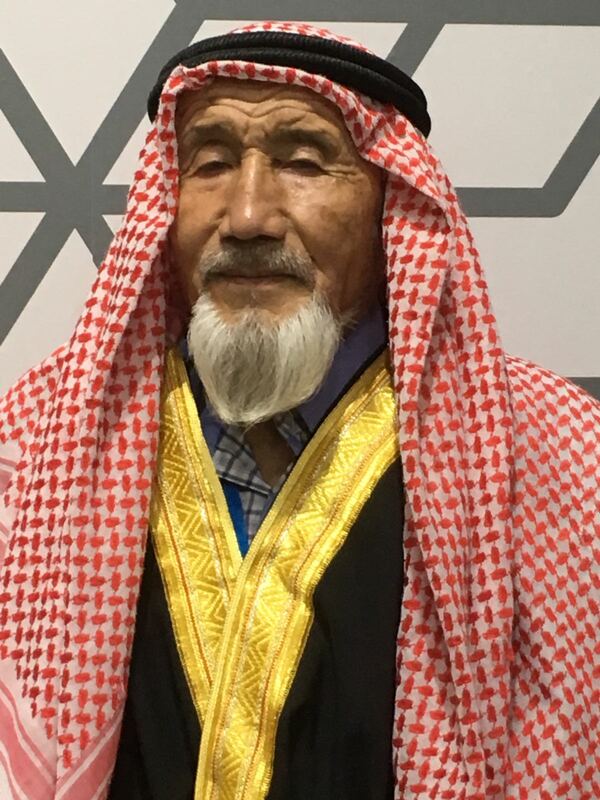 يوم 22 أغسطس 2017 في معرض أكسبو كازاخستان، أستانا ستقام فعاليات تجسد احتفالات اليوم الوطني للمملكة العربية السعودية حيث سيعرض الجناح السعودي عروض مختلفة منها مشهد العرس الشعبي وعرض الأزياء السعودي وكتابة الخط العربي والرسم المباشر وتقديم الأكلات الشعبية وكذلك تقديم هدايا للزوار والتي ترمز لأهم المعالم الإسلامية في المملكة العربية السعودية وغيرها مما يُظهر الهوية الوطنية والثقافة السعودية بمختلف مزاياها. 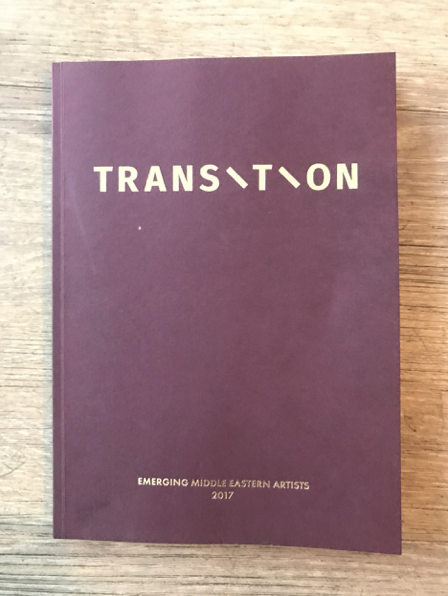 Last Wednesday, we were welcomed by the Menier Gallery to the exhibition opening of Transition: Emerging Middle Eastern Artists. The three week long exhibition is running from the 15th August to the 2nd of September in the South East London gallery. The works pertain to how the Arab region has seen a transition both collectively and individually. The diverse artworks range from calligraphy, sculptures, paintings and photography, to neon light and video installations, live performances and zines. The works prompt the viewers to engage in a dialogue about how artists from the Arab region are transitioning through life. Over 30 emerging Middle Eastern Artists participated in the exhibition, a highlight of which exhibition is Ayham Jbar’s ‘Two Worlds’. 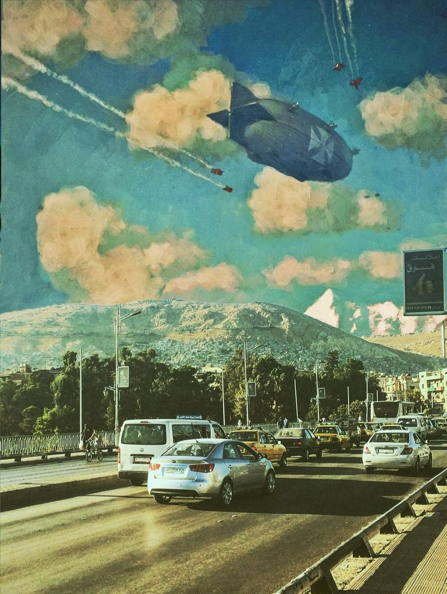 The surreal collages merge iPhone photos of Damascus with vintage illustrations of space. In his works, Ayham shares his love of science fiction films, stories and films and uses the mix of mediums and eras to draw parallels to the Syrian civil war. These works of art showcase a diverse and refreshing selection of work that encourages the viewer to engage in a dialogue about the power of connection and the complexities of change geographically, personally or artistically. Saudi Pavilion in Top Ten Again! This week we were very excited to find out that the Saudi Pavilion is once again in the top 10 most visited pavilions at the Astana Expo. Other most visited pavilions included those from Russia, Japan and India. For the full list visit the official Astana Expo website. Expo has been open for two months and has seen well over 2 million visitors. With one month to go, we’re excited to continue welcoming guests to the Saudi Pavilion and celebrate Saudi National Day on the 22nd August. كما يعتبر الجناح السعودي من بين العشر الأجنحة الأكثر زيارة في المعرض. يقام معرض “إكسبو2017 “حاليًا في كازاخستان، أستانا ويعتبر ثالث أكبر حدث دولي والذي يستقبل ملايين الزوار خلال ثلاثة أشهر حيث تشارك فيه 115 دولة، إضافة إلى 18 جهة ومنظمة دولية. 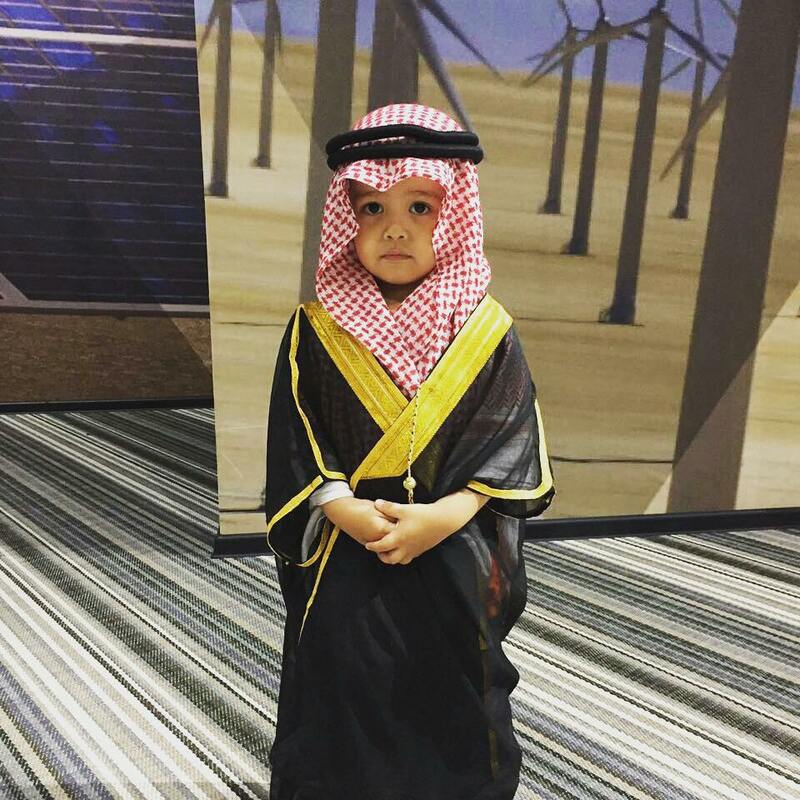 تشارك المملكة العربية السعودية في هذا الحدث الدولي المهم في جناح تُشرف عليه مدينة الملك عبدالله للطاقة الذرية والمتجددة، بعنوان “طاقة المستقبل”. يهدف المعرض لتثقيف الجمهور بالموارد المتاحة للإنسان وتطوير استخدام الطاقة المستدامة في ضوء رؤية المملكة 2030. استقطب الجناح السعودي منذ افتتاحه في يونيو الماضي نخبة من القادة وكبار الشخصيات، وعددًا كبيرًا من الزوار حيث وصل عدد الضيوف الذين استقبلهم الجناح من مختلف الأعمار والجنسيات إلى أكثر من 300 ألف زائر. 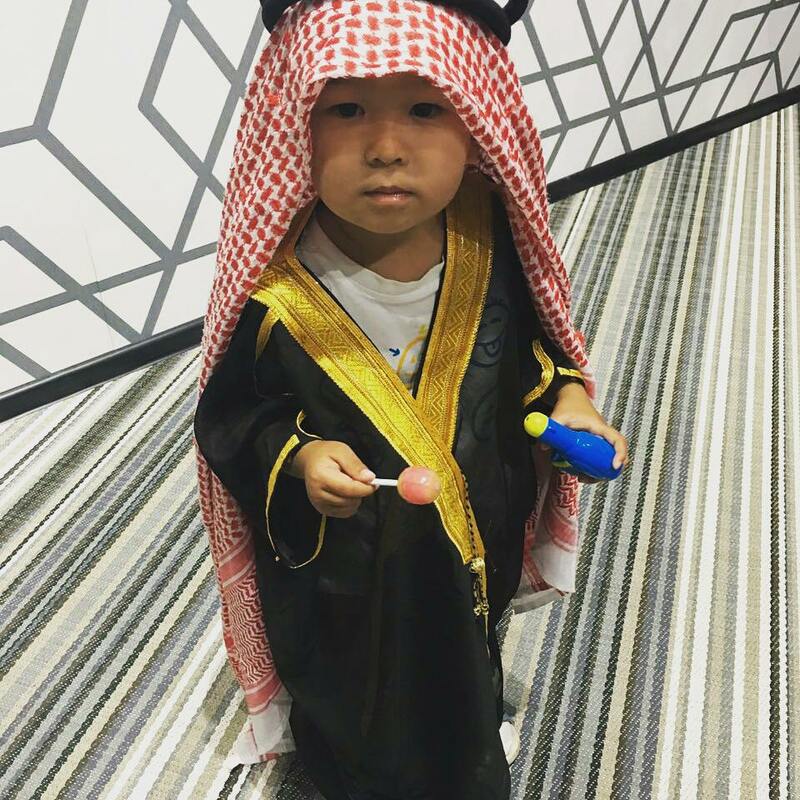 كما يعتبر الجناح السعودي من بين العشر الأجنحة الأكثر زيارة في المعرض. يستمتع زوار الجناح السعودي برحلة ممتعة، يجوبون خلالها مناطق المملكة المختلفة ويستعرضون أهم معالمها ويتابعون تطورها على مختلف الأصعدة العمرانية والصناعية والاقتصادية. 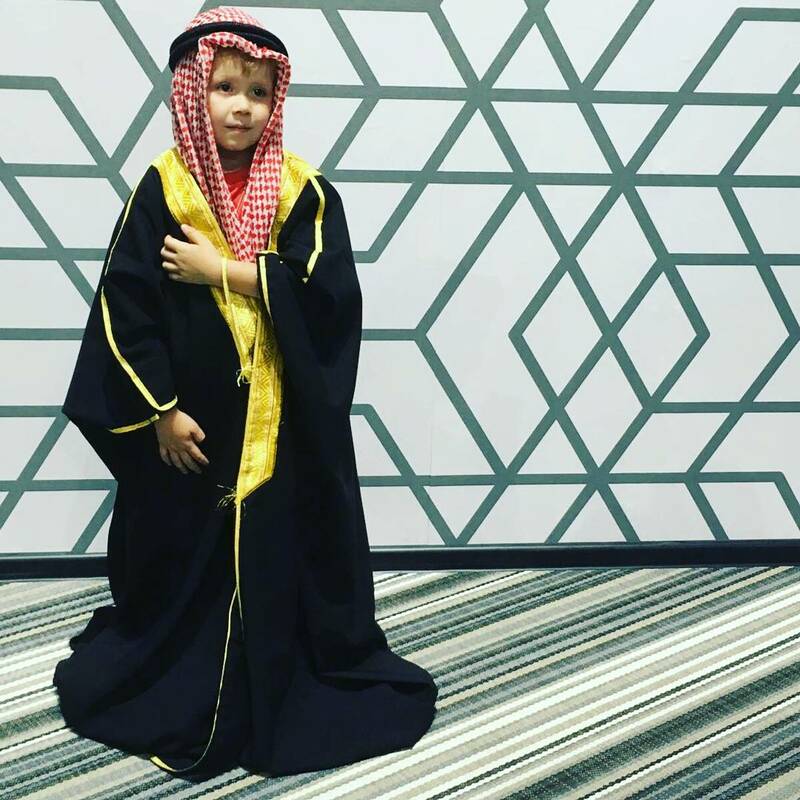 كل يوم تقريبًا يحتفل المعرض بالأيام الوطنية من مختلف البلدان، حيث سيحتفل جناح المملكة باليوم الوطني في 22 أغسطس 2017 وستقام فعاليات متميزة ومتنوعة تعزز التراث الثقافي والهوية الوطنية، متضمنة أعمال فوتوغرافية عن المملكة ورسم مباشر أمام الزوار عن التراث السعودي كما سيحظى الزائر بتجربة الزي السعودي والاستمتاع بالفن الموسيقي الشعبي. This week Expo 2017 have compiled a list of the top 5 pavilions to take the most interesting and unusual photos in. 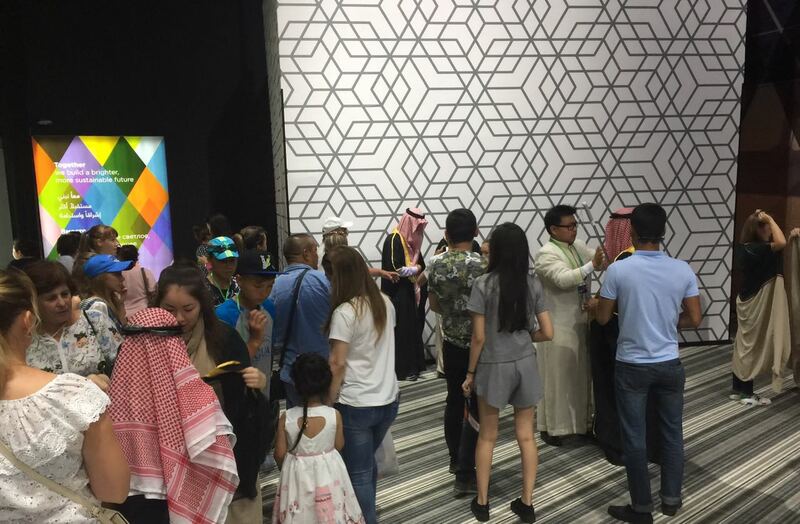 And, we’re very happy that the Saudi Pavilion has been included! 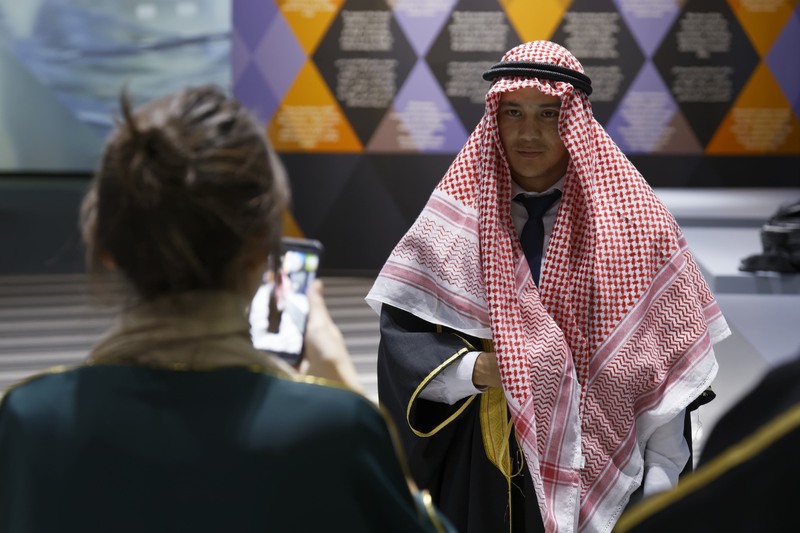 There are lots of exciting photo opportunities inside the Pavilion, from having your photo taken next to portraits of the royal family, to posing with Fatima the Falcon and wearing traditional Saudi dress.